The Anton Bauer Performance Series DUAL Charger Gold Mount charges two Gold Mount Anton Bauer batteries at one time, allocating the most power to the highest-charged battery first. It communicates directly with the battery to assign the best possible charge routine to ensure better overall battery longevity. A 4-pin XLR output allows you to power your camera right from this charger with an XLR cable while the charger is plugged into the wall or you can use this same XLR port to power your camera and other XLR accessories off of the batteries when they are attached to the charger when AC power isn't available. This charger also features a touch screen that displays activity, status, and management options. It also sports an ergonomic carry handle. This charger is compatible with all Gold Mount Anton Bauer batteries. 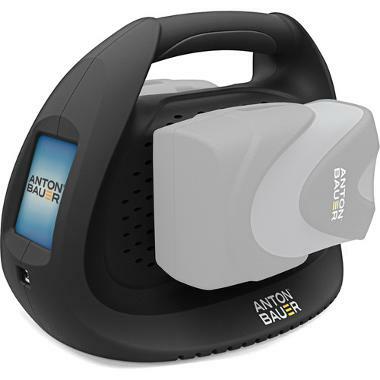 Anton Bauer batteries are rentable separately and do not come with this charger.